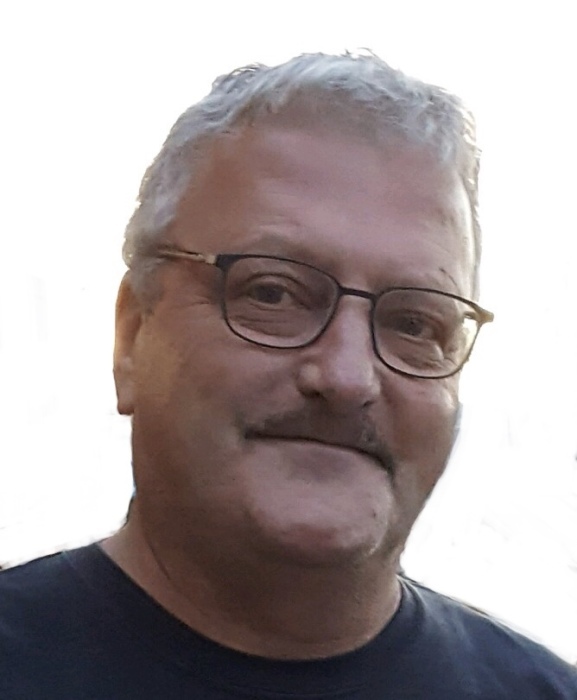 Paul R. Soucy , 61, departed this life prematurely, Wednesday, January 30, 2019. He was born in Skowhegan, ME to Raymond and Lorraine Soucy on September 05, 1957. Soon after graduating from Madison High School in 1976 Paul enlisted in the United States Army, serving 4 years in the Communications Electronics Installation Battalion with tours in Korea and Germany. Upon discharge, Paul pursued electronics at Kennebec Valley Vocational Technical Institute, which led to a 30-year career as a Telephone Installation & Repair Technician, first with New England Telephone & Telegraph and eventual retirement from Fairpoint Communications in 2013. Red Sox. A very generous man with a heart of gold, Paul always put family and friends first. He was an animal lover, frequently spoiling his beloved cats with fresh shrimp and faithfully feeding the squirrels wherever he lived, affectionately referring to each as his pet “Rocky”. He had a wry sense of humor and innate ability to make people laugh, creating clever nicknames for friends and family, and instigating antics with his nieces and nephews, who loved to be around him. His friends were the subjects of his many practical jokes. The stories of Paul's mischievous exploits have given his family cause to smile during this difficult time. In the words of his nephew, “If you didn’t know him, you wouldn’t get it. He was truly one of a kind”. He will be greatly missed. Paul is survived by his parents, his sister Lynn Mantor and her husband Tony, his brother's Tim and his wife Patsy and Leo and his wife Laurie, his niece Leanne and nephew's Nathan, Brandon, Matthew and Sean. A funeral service will be held on Saturday, February 23, 2019 at 10:00 am at St Sebastian Catholic Church, 161 Main Street, Madison. A celebratory reception will follow at the American Legion Hall, 20 Maple Street, Madison.